Millions of Christians around the world tonight will pause and remember that 2000 years ago an assuming child was born. He grew up in an unassuming village as the son of a carpenter. This same boy would grow into a man and come onto the scene at a wedding in Cana. After that wedding in Cana he would go on to turn the religious establishment upon its head. The the religious elite would respond by conspiring to have him eliminated, assassinated, crucified. You see nearly 2000 years ago this day they took this King down from his cross and laid him in a tomb. Hope had vanished. His followers hid. The world was dark. Satan rejoiced. But then, there was that day, that Sunday. Friends went to an empty tomb and spoke with angels who gave them the news the continues to echo today: “HE IS NOT HERE. HE HAS RISEN!” You see the child was God in flesh, the God who became man, yet remained God. And this King, Jesus, returned to his throne and awaits the day that God will send him back to the earth to make all things right and to make all things new. Several hundred years before Jesus’ birth the prophet Isaiah wrote the following words foretelling the drama that would unfold of Jesus’ arrest, beating, trial, crucifixion, burial, and resurrection. 2 For he grew up before him like a young plant, and like a root out of dry ground; he had no form or majesty that we should look at him, and no beauty that we should desire him. When he was born no fuss was made. As he grew no one noticed. He came from a back woods village where Nobody’s come from. He was not a handsome man, he didn’t fit our ideal for a Warrior-King-Leader-Savior. 3 He was despised and rejected by men; a man of sorrows, and acquainted with grief; and as one from whom men hide their faces he was despised, and we esteemed him not. We were ashamed of him and dismissed him when we turned our backs on him. No one wanted to be associated with the radical son of a carpenter. 4 Surely he has borne our griefs and carried our sorrows;yet we esteemed him stricken, smitten by God, and afflicted. Yet, even though we turned our backs on him, he turned his heart towards ours. He put the unbearable weight of our sin on his back. 5 But he was pierced for our transgressions; he was crushed for our iniquities; upon him was the chastisement that brought us peace, and with his wounds we are healed. Without the shedding of blood there is no forgiveness of sin, he knew that at a level we never will. He was beaten to a pulp and tortured and mocked, and whipped, then standing on death’s doorstep they stopped only to humiliate him on the cross. His pain was our healing. His suffering was our comfort. 6 All we like sheep have gone astray;we have turned—every one—to his own way; and the LORD has laid on him the iniquity of us all. We are helpless, wandering, and naturally lean toward unfaithfulness. We have chosen our pathetic path over his perfect path. We spit in God’s face and turn our back to him screaming, “You’re wrong!” And because God embodies grace Jesus exchanged our sin for his perfectness to honor his Father. 7 He was oppressed, and he was afflicted, yet like a lamb that is led to the slaughter, and like a sheep that before its shearers is silent,so he opened not his mouth. Jesus had at his disposal legions of angels waiting in battle formation with baited breath and weapons drawn for the command; the words they wanted to hear him say: “Now!” With all this at his fingertips Jesus was silent. He set aside his authority to obey the Father, even to death on a cross, regardless of the cost. 8 By oppression and judgment he was taken away;and as for his generation, who considered that he was cut off out of the land of the living, stricken for the transgression of my people? The establishment gave him a unjust trial and an unjust conviction. Hearts ached believing the lies that he was not the Son of God. Not the Messiah. Not Immanuel. Not Jesus. And so the people lost hope. 9 And they made his grave with the wicked and with a rich man in his death, although he had done no violence, and there was no deceit in his mouth. He was treated like a violent career criminal though he had never done any wrong. 10 Yet it was the will of the LORD to crush him; he has put him to grief; when his soul makes an offering for guilt, he shall see his offspring; he shall prolong his days; the will of the LORD shall prosper in his hand. And God let this happen. Not because he is unjust or loving, but because he is just and is loving. You see without the shedding of blood there will be no forgiveness of sin. No lamb could ever fully satisfy this requirement, it took a perfect, sinless God-Man Savior. It took Jesus. What is the most volatile substance in the world today? TNT (Trinitrotoluene)? Plutonium? North Korea? A teenage girl? The answer is none of these. In fact the answer might surprise you. Think about it: a raging torrent of hormones and abstract thinking are bombarding a physiologically changing brain like a blitzkrieg. It’s no wonder that the teenage brain is unstable, unpredictable, and volatile. One of the many reasons I enjoy working with students is that they are always changing. And the most significant change going on in their rapidly growing bodies are not zits, or arm pit hair, or voice changes, or even those pleasant odors that accompany teenage boys going through puberty. The most significant change a student experiences is the one we cannot see: the brain. If you have ever taken an intro psych class or ad psych class or watched an episode of Criminal Minds then you’ve probably heard of these two guys: Piaget and Erikson. Piaget is known for defining Concrete vs. Abstract Thinking. Piaget claims that at the onset of puberty students shift from understanding the world in a concrete reality to that of an abstract understanding. Essentially, students begin to think about thinking. They start asking what if and why might that be questions. They begin the process of speculation and utilizing a third person perspective. They ask questions like, “What is the meaning of life?” And the question every adult who works with students dreads: “How can I trust that God is real or that the bible is accurate?” Essentially everything about faith is abstract. Approaching the same issue from a different angle (See the use of abstract thinking there?). Erikson claims that students are in the life-span stage of Identity vs. Identity Confusion. Beginning around the onset of puberty and lasting until the early twenties students are trying to figure out who they are and where they fit. This is a journey that they must initiate and discover at their own pace. Otherwise they will not feel like they know who they are. The hard part for parenting is not forcing the identity we desire for them on them. You know this kid. In fact, she was probably in some of your college classes. This is the girl who wanted to be an art major or teacher but caved into the pressure to be a pre-med major to take over the family practice some ambiguous day in the future. All the while never liking medicine. Take for example a former student of mine. One year he wore a Texas A&M t-shirt and hat with Wrangler jeans and ropers (boots). After summer break he comes back dressing like a trendy/goth kid wearing dark clothing, vests, fedora style hats, and a chain wallet. That look lasted a semester and after Christmas break he was dressing differently again. Do you see what he was doing? He was trying to figure out who he was and where he belonged. This is why so many of my current students play four or more sports per year. They fancy themselves athletes, they’re just trying to figure out are they a football, soccer, or baseball player. What are they the best at? As if this wasn’t enough we’ve found out exponentially more about the teenage brain in the last 10-12 years than we thought we knew for the last 100 years or more. Let’s take a look at some of the new findings. The temporal lobe serves as the center for emotional response and interpretation. The temporal lobe is underdeveloped in teens, and significantly underdeveloped in guys. This is why when a teenage couple that is dating get into a fight the girl turns into a sobbing puddle of emotions while the guy gets on Xbox live and plays Call of Duty like nothing happened. It’s not because the guy doesn’t care, in fact he probably does; his ability to interpret and express emotions is not fully developed yet. Do you want to know why your student frustrates you to no end and leaves you scratching your head? Do you want to know why they do such stupid stuff? Meet the reason for your frustration: the Frontal Lobe, more specifically the Prefrontal Cortex. Do you feel like your student is deficient in these areas? This could explain several of the stupid things I did in college (ok, so stupid is an understatement). If the risk is unknown teens are more likely to engage in risky behavior. If the risk is known teens are less likely to engage in risky behavior. Teens seem to love the unknown. It’s the opposite of what adults do: if the risks are known teens engage in risk taking less than adults; but if they are unknown teens engage in risk taking more than adults. The more vague the consequence the more likely teens are to engage in risk taking. Oh, did I mention that we now know the brain is not fully formed at age 6 like previously thought; it actually isn’t fully developed until the age of 25. And yes, this includes the Frontal and Temporal Lobes. Neural pathways are groupings of neurons (brain cells). Now, get this: research has shown that in the 2 years or so leading up to puberty the brain goes into warp speed producing millions of new neurons. Then, when puberty goes into full swing the brain starts to kill off neurons. Weird huh? Here’s why: the brain has a use it or lose process for neurons. The neurons from the parts of the brain that are stimulated or used are kept, while the neurons from the parts of the brain that are not used or stimulated are killed off. 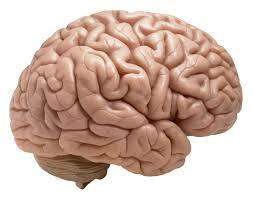 This tells us that during the teenage years the brain is crafted and molded for how it will function in adulthood. How can I best steward the opportunity I have to permanently shape my teenagers’ brains? And more specifically, how can I best steward the opportunity I have to shape their brains for a lifetime of robust faith? 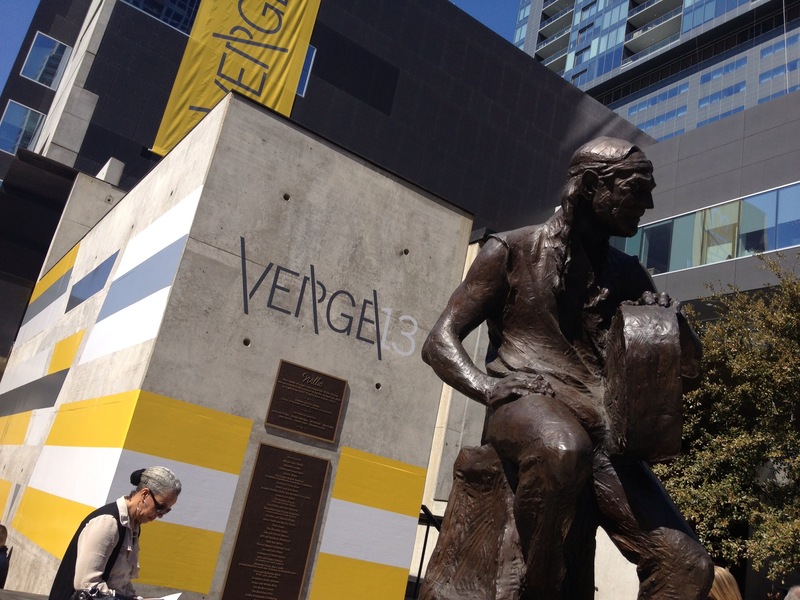 Last weekend I attended Verge, a conference hosted by the Verge Network in Austin, TX. It was phenomenal. In fact, it could be the best conference I have ever attended. The production value was highly professional and everything was thought through to the smallest detail. The conference was held at the ACL-Moody Theater in downtown Austin. It is a venue known for hosting acts like Coldplay, Willie Nelson, Tony Bennett, and Mumford & Sons. It is an incredible venue. And here’s the cool thing, a place typically filled with people who are ‘three sheets to the wind’ was filled with a group of men and women focused on missional living and discipleship. It seemed like the kind of place Paul would have loved. From Neil Cole in regards to discipleship: “Bad people make good soil…they have a lot of fertilizer in their life.” Also, “The quality of the church is determined by the quality of its disciples.” That one will keep you up at night…..
See what I mean? Chew on that for a while…..
On day one of the conference during some down time that afternoon I found myself sitting outside of Mozart’s, a local coffee shop, overlooking Lake Austin. It hit me: I want to speak at conferences, camps, retreats, etc., but why? Is my primary focus to establish my platform or to make Jesus famous? I think that is a question each of us must ask ourselves regularly. I love students. I love student ministry. I love teaching. And I love studying. How can I use these to make Jesus famous and invest in other ministries? After some time I landed with the realization that I genuinely I want to do this to make Jesus famous, not myself. Then, the other day I was watching a TED talk by Rick Warren from 2006 entitled A Life of Purpose. In it he mentions Psalm 72 where Solomon prays to God asking for a massive kingdom and enormous influence. On the surface this sounds like the most selfish prayer in the bible. On the contrary, this is a prayer that God would increase his fame through Solomon so that Solomon would be an instrument used by God and for God’s glory alone. You see, Solomon wants to care for the marginalized. I think this is a prayer that honors God. I may never speak at a camp, retreat, or DNOW. I may never write a bestselling paradigm shifting book. I may never be on the main stage at Verge or Orange or Youth Specialties. That does not give me an excuse to abdicate my influence. In fact, it requires me to be more conscious of how I am leveraging my influence for God’s Kingdom, not mine. We all live in a sphere of influence, mine just happens to be with the church, students, parents, and schools. Your sphere may be your neighborhood, kids’ sports teams (because we all know they can’t play just one), or project team at work. In that sphere, where God has intentionally placed you, how will you leverage your influence to increase God’s Kingdom and not your bank account? Are You More Capt. Sobel or Maj. Winters?